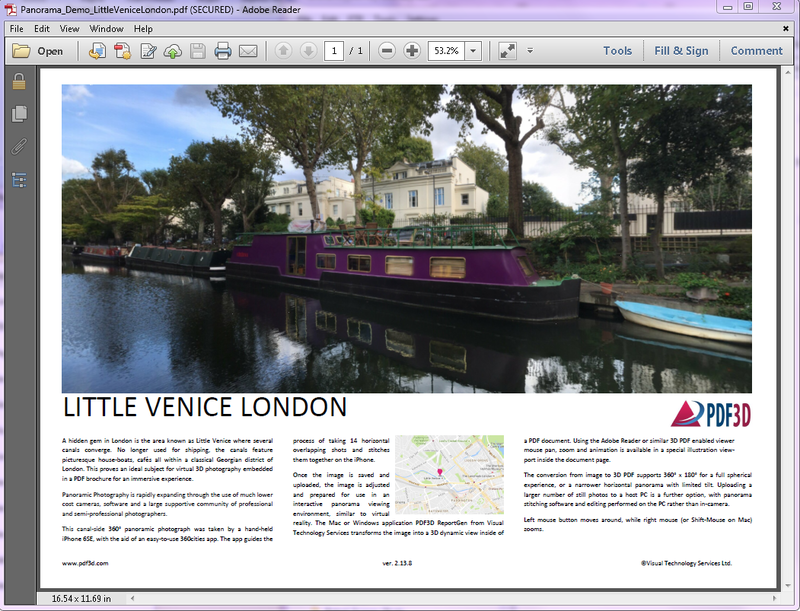 July 17, 2018 – London: PDF3D have released their latest update (v2.16) of their suite of 3D PDF conversion tools in. In this powerful release, the team have developed industry leading technology to transform how 360-degree panoramic photos are presented and shared, using 3D PDF both on and offline. From Archeology to Forensics, capturing environments with full 3D color is enabled by a vast range of new sensors, cameras and processing algorithms. As the range and resolution of image capture devices has grown so have the size and complexity of the data files generated, and many working in those industries that rely on this detailed imagery need a workable solution to allow for the practical communication, sharing and long-term archiving of the outputs from these technologies. PDF3D has been supporting photographers, investigators, surveyors and many other professionals working with 3D visualization for many years with its range of 3D PDF tools, helping to meet their needs by providing a secure, compressed, standards-based format for delivering their detailed imagery. The company’s latest release, v 2.16, has dedicated major effort to develop functionality for users of panoramic 360 photography, in response to the many users around the world who work with 360 photography and panoramic drone, laser and scanner imagery. “From drone, laser, satellite imagery, to realistic new CAD based product designs, 3D images represented by textures on geometric surfaces are a frequent source of material for 3D PDF conversion,” explained Ian. Secure, offline viewing using Adobe’s Reader – no special viewers or other software needed. PDF3D ( www.pdf3d.com ) based in the United Kingdom, produce a suite of widely respected software products and plugins for engineers, scientists and developers who need to communicate complex data and 3D models to others in the universally accessible PDF format. PDF3D’s technology provides the fastest and easiest-to-use, highly compressed 3D PDF conversion available for an ever-increasing range of formats and tools. From 3D CAD to GIS, DWG and LIDAR, PDF3D works closely with users and programmers within the engineering, geospatial, geology, aerospace, architecture, medical and product packaging communities worldwide.